Ranchers and farmers could see their livelihoods threatened by urban areas that scoop up more water as their populations swell. Shrinking lakes could mean fewer tourists and loss of jobs. An Arizona State University team has received a three-year grant to study how people collaborate — or not — on the complex decision of who gets how much water, and how using technology might affect their reactions. Empathy is the crux of the study. The researchers want to see whether participants can be coaxed into relinquishing power for the greater good. The National Science Foundation awarded $449,000 to the interdisciplinary group in July. The scholars are from the School of Public Affairs, the W. P. Carey School of Business, the School of Social Work and the Decision Center for a Desert City. Erik Johnston, an associate professor in the School of Public Affairs and director of the Center for Policy Informatics, is the principal investigator. About 300 students have taken part in the study so far, he said, and about 500 more will participate over the next three years. 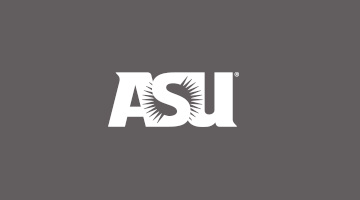 They interact individually or on teams using computers, with researchers like Dr. Dara Wald, a post-doctoral fellow in ASU's Center for Policy Informatics, changing different aspects of the role playing to see what promotes empathy. Each session takes about 90 minutes. “There are a lot of values at play all the time, which is the heart of governance,” Johnston said. They then paired their platform with the WaterSim estimator tool created by the Decision Center for a Desert City (DCDC), which set the stage for this work. “We created a mobile version of WaterSim that uses their underlying logic and their scientific reasoning behind it. When people are allocated water choices, the consequences they see have been scientifically derived from the research at DCDC,” Johnston said. Water-use policy is a good example for interdisciplinary study, Vinze said. Empathy is measured at the beginning and end of the sessions using a survey developed by Elizabeth Segal, a professor in the School of Social Work and another co-principal investigator. Vinze said that the interplay of empathy and technology is key. “Empathy is not a new concept, but the notion of ‘how does empathy change if I look through the lens of technology?’ is new,” he said. Vinze and Johnston had already done some preliminary research on that. “But it wasn’t that easy. Everything we tried made the situation worse, with lower empathy outcomes and less likelihood of collaboration. The study participants play differing roles. For example, subjects might be a big city negotiating with a small city, with different levels of political clout. The game poses various scenarios for water usage, considering effects on variables such as jobs, sustainability, food scarcity and quality of life. “When the undergrads played, they got rid of all the pools. But they don’t look at the misery aspect of that,” Johnston said. The model computes all the dimensions so participants can see the system-wide consequences of their decisions – a factor that could have profound real-life value, Johnston said. “There’s not a clean answer,” he said. “It helps to focus their attention on where there are conflicts: Do we have more sustainability in the future or more jobs now? Do we invest in food security or community pools? Johnston said the team, which also includes Ned Wellman, an assistant professor in the W.P. Carey School's Department of Management, hopes that real policymakers can eventually use the models, which would put their decisions to the test.